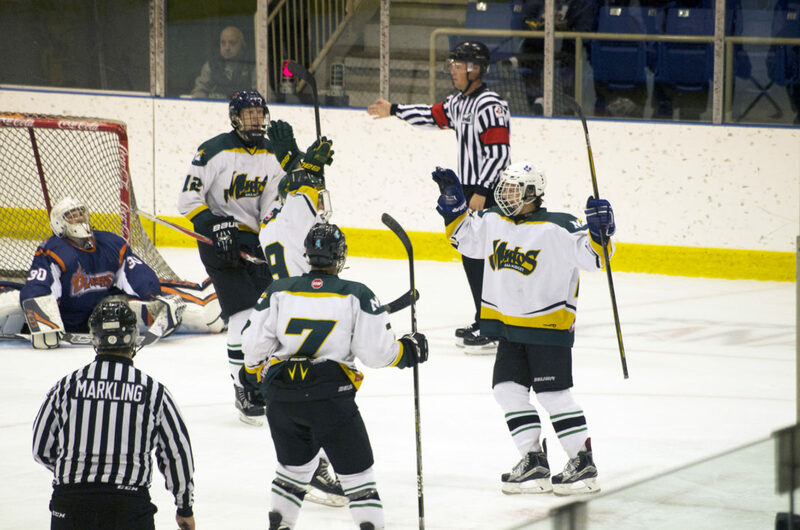 The Mintos outshot the opposition 35-18, but suffered a 3-2 defeat at the hands of the Saskatoon Blazers on Friday. The Blazers used a pair of late third period goals to power past the Mintos at the Art Hauser Centre. Afterwards, Minto coach Ken Morrison called the game a good learning experience for his young team. After both teams exchanged first period goals, the Mintos used a dominant second period to take the lead. Hunter Schnell fired a shot past a sprawling Blazer netminder to put Prince Albert up 2-1 heading into the third period. The Mintos continued to dominate play, but weren’t able to convert a shorthanded breakaway and a late powerplay. The Blazers scored two goals in the last five minutes to take the victory. The Mintos dressed roughly half-a-dozen bantam age players during their Thursday game in Saskatoon and Friday’s affair was fairly similar. Morrison and his coaching staff used Friday’s game to evaluate players fighting for roster spots, and overall, they weren’t disappointed with the play. One player who didn’t dress for Friday’s game was sharpshooter Kyrell Sopotyk, who was reassigned by the Kamloops Blazers on Sept. 11. Morrison said Sopotyk is currently battling injury, but shouldn’t miss much time. The Mintos continue their exhibition schedule on Sunday when they take on the Saskatoon Contacts at the Art Hauser Centre. Puck drop is 7 p.m.